I was shocked by an astonishing report by Forbes in 2018 stating, the most recent season of NBA season had bagged $7.4 billion for the teams. That is a whopping 25% hike from the previous season. And why 25% is a huge deal NBA? Because in the same report, the most famous sport of America, NFL, experienced 7% of a surge in the revenue. Needless to say, Basketball is offering fantasy basketball games a nurturing and thriving atmosphere. I thought of a different beginning of this article. But all the beginnings were overshadowed by a multi-billion sports industry making more billions every year. Coming to the point, Fantasy basketball app market depends on the lifespan of sports popularity. Are raising numbers of present intimidating enough to convince potential investors of the future? Why should you invest in a fantasy basketball application? How fantasy basketball app will help you to earn bigger bucks? How to build a fantasy basketball app? And how much does it cost to build a fantasy basketball app? I will answer them all, one by one. First of all, we need to understand the dynamics of both the NBA and Fantasy sports market separately and then together. Where Does The NBA Stand Today? A true American sport that is destined to spread its wings all over the globe and it has started to happen. Since its inception in 1949 NBA and despite its initial financial troubles, the popularity of the NBA grew gradually at first and then skyrocketed to $7.4 billion. So unarguably NBA stands at a very solid position today. 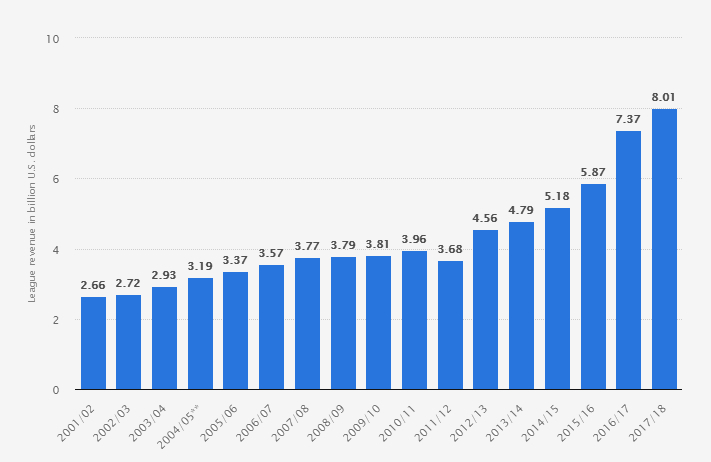 Fortune suggested that by the year of 2029, revenues to NBA will reach the mark of, *drumroll* $68 billion. But you might be tempted to ask, will NBA be successful enough to stay true to these projections? I will answer that in a bit. Is Fantasy Sport Really Catching Up? When there are more than 60 million active users in America and Canada then “catching up” is barely a question. The number was just 500,000 in 1988 and in 2017 it has come to 60 million. Talking about valuation, according to a research conducted by Ipsos Marketing for Fantasy Sports Trade Association (FSTA) in 2017, Fantasy Sports is a $7.22 billion industry and it is growing in multiple folds. 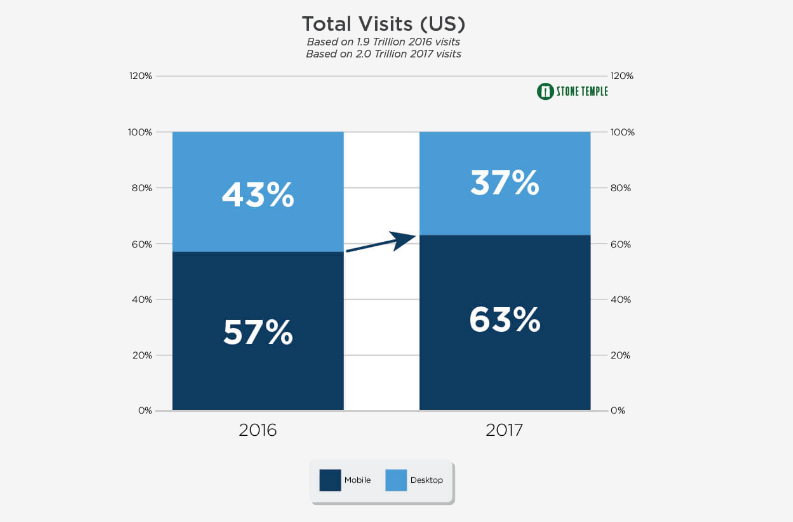 Eilers Research CEO Todd Eilers estimates that daily games will generate around $2.6 billion in entry fee this year and grow 41% annually, reaching $14.4 billion in 2020. Can you imagine, by just game entry fees, fantasy sports apps will generate billions in 2020? We have just talked about two industries making billions every year with many more billions reserved in the future. Being the 2nd most popular sports in America, basketball has one advantage over all other sport, i.e. globalization of sports. Involvement of the NBA in “Basketball without border,” a global community outreach program, prove the point of how basketball is going beyond the borders. Believe it or not but the NBA is promoting basketball in India. China has millions of active basketball fans. This statement should answer whether the NBA be able to stay true to the optimistic projections or not. Fantasy sports itself has millions of fans in the USA alone then one can only imagine how big this market would be for fantasy basketball games and application. Why Fantasy Basketball App Is A Profitable Investment? Compared to any other sports in the USA, the NBA has the youngest audience. According to Forbes, 2017-2018 season was the most highest-rated season of the previous 5 years. All major TV networks like ABC and TNT had experience NBA’s rating surge between 12-17%. What shocking is, the large amount of this audience growth was young adults of age between 18-35. Here is the similarity, according to FSTA the average age of fantasy sports players is 32 years. Did you notice the pattern here? The audience of the sport and game shares the same age group. Hence, it gets easier to target the basketball audience with fantasy basketball apps. Basketball sport is famous among young adults. And with the help of the NBA’s community outreach all over the world, it is certain that basketball is going to experience a massive surge in its audience. Now that we know the audience and user engagement is not the problem. Let’s talk about how much money is in the market. In May 2018, Legal Sports Reports showed that fantasy sports websites like Draftkings, FanDuel, FantasyDrafts, and Yahoo DFS had combined audience of 37 million and generated $220 million over the month. Here’s more, all daily fantasy sports companies mentioned above raised around $1.2 billion in the year 2017. To show the contrast, in 2015, Disney invested $250, Fox Sports invested $300 million and in 2016, Revolution Growth invested $150 million in DraftKings. The statistics and audience invoke optimistic possibilities for the future of fantasy basketball sports apps. But let’s try a pragmatic approach here. Now that we know about possibilities, let’s understand the audience behavior towards technology. Is fantasy basketball app worth investing? Or let’s get more subtle. Will people be using Mobile apps in the next decade? 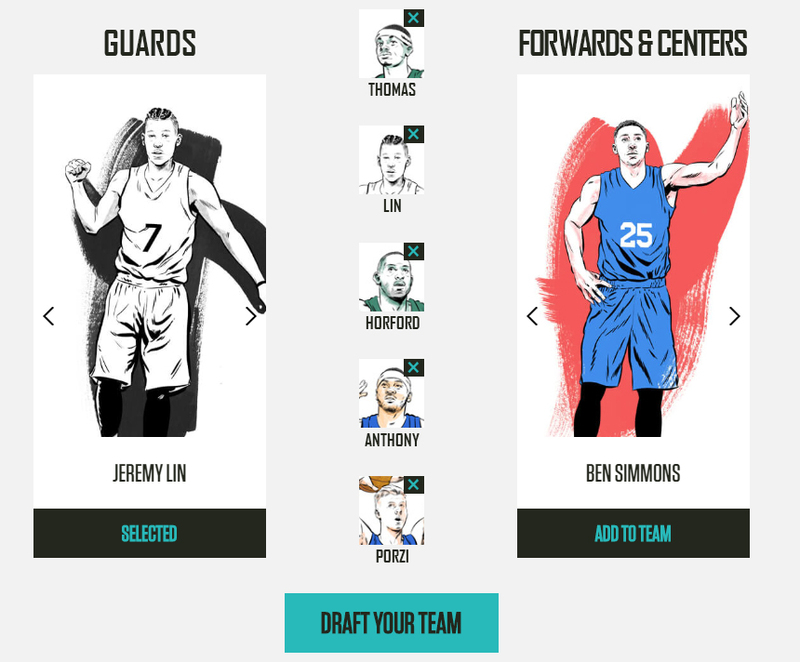 How App Development Helped Fantasy Basketball Sports And Will It Continue To Help? We all have witnessed an unprecedented evolution in the smartphone industry. The smartphones are getting smarter and more powerful every day. Smartphones have allowed us to do MORE with their abilities by being unbelievably compact and mobile. And this is where people started using their smartphone more frequently than a desktop. The increasing demand of smartphones has opened the floodgates of opportunities for the app development industries. According to a study, in between 2016 -2017 smartphone usage grew 57% to 63%. Let’s be more industry-specific, in the same year timeline, smartphone gaming has grown from 42% to 53% and it is significant growth. The growth is not going to lower in the future. The hardware technology has faced a massive makeover over the years. It is the apps that have always adapted to the platform. It is the reason I am hopeful that the hardware may change in many unexpected ways but the apps will only evolve into something more user-friendly and interactive interfaces. So yeah, fantasy basketball games apps are here to stay and grow and the popularity is already breaking all the records. When you start playing fantasy basketball on your phone and the match starts. Imagine, Stephen Curry is in your team and just his classic shooting he does multiple 3-Pointers. What else does one need to make fantasy games even exciting? A fan not only watches the game but becomes a part of the game when she is playing fantasy basketball. 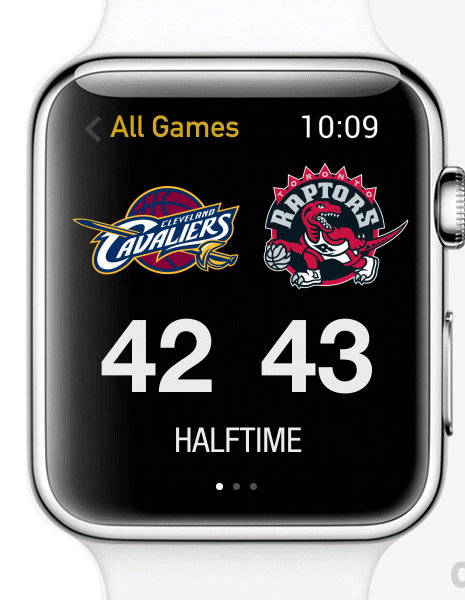 However, some features make fantasy basketball games even more addictive and exciting. 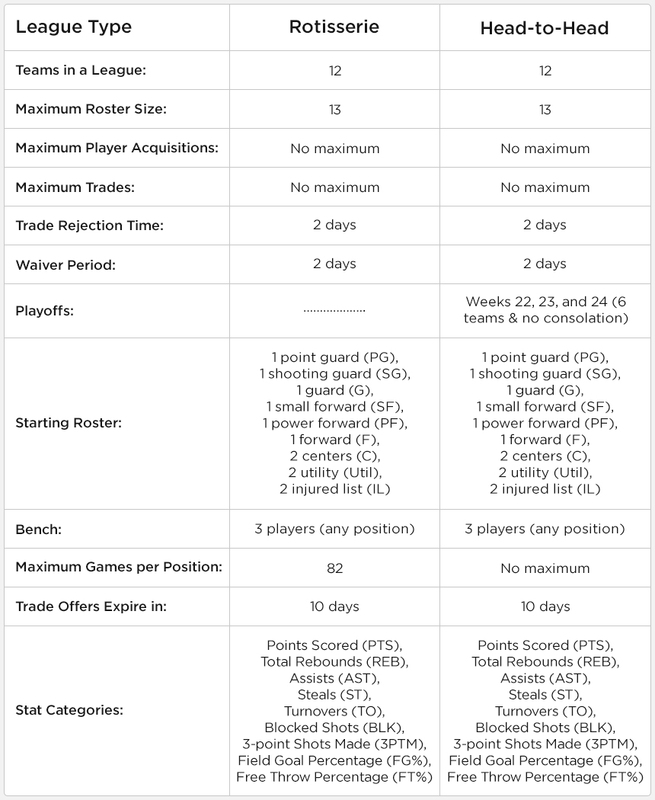 Here are some of the features make users get off the bench and play fantasy basketball. These features are different for both users and admin. If you are to win a game then you need to have a great team. A strategic approach is necessary. This fact distinguishes sports betting from fantasy sports. Whereas sports betting depend on the chances, fantasy sports games are all about knowledge and strategy. The first step is to draft a team. Here you can get stats of all NBA players and check whom do you want in your team. Of course, you need to do a little homework to draft a team that wins for you. Paid leagues would require credit to have a particular player in your team. The value of each player depends on the auction held in a league. One is prize-enabled and another one is standard free. Both games are interesting to play. If someone is playing fantasy basketball for the first time then a free game is a great option. It does not require money to enter and the user gets to know about ‘how to’ of the entire fantasy game. Here comes the interesting part, if a user wants to be a part of the prize pool then the prize-enabled game is a great option. When the team created by a user accumulates highest points, the prize goes to the user. Since it is a prize pool game then it requires a certain amount of entry fee. The fee may vary from $5 – $500. To give you an idea, Yahoo Fantasy Basketball has four leagues of fantasy basketball. Each league has a different scoring system and a number of users in a league. In the charts below, you can see the different types of leagues and scoring system. But that’s not it. These are some of the gaming features that make fantasy games interesting. Moving towards, fantasy basketball app features that serve in enhancing the fantasy game experience. Whether it is LeBron James or James Harden on the top of the standing, a user will find a detailed standing report here according to points accumulated by the players in the past matches. It gets really useful when a user is drafting a team. 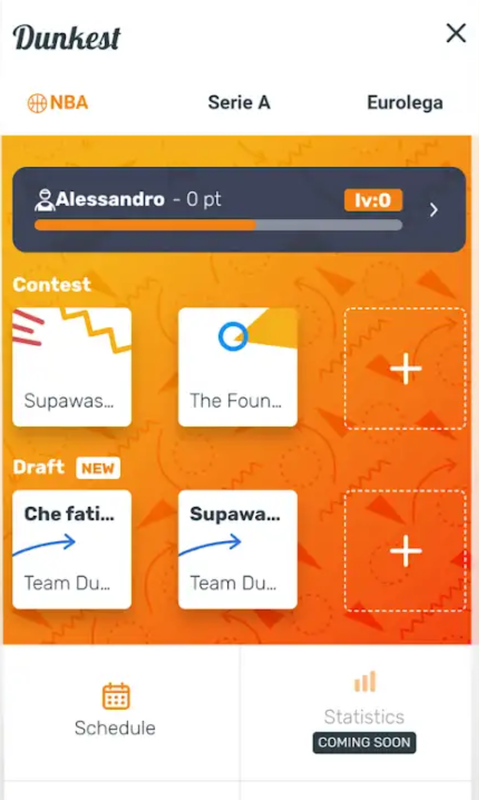 This exclusive feature offers a deeper level of player info to the users like the points and how many times a player has been selected for the teams and many more. Here users can see all the contests available to enter. All free and paid contests are be listed here. It is very helpful to see all the contests at a place. The leagues created by users and participated games are here in one place. It is handy to see all the status of games and leagues in one dedicated section. A user’s team is ready and the game’s on, this is where real-time stats helps in enhancing the overall fantasy basketball games experience for the user by showing all necessary stats in real time. But this is not it, there is a myriad of other features that engage users and offers an immersive fantasy basketball experience. The most important feature for the admin. It enables admins to manage the overall content on the fantasy basketball app. Every visible content can be managed from an intuitive CMS. For every statistic, there is a dedicated dashboard to take a glance at whatever happens on the fantasy sports app and website. There can be dashboards for, real-time active users, total earning, total games and many more. 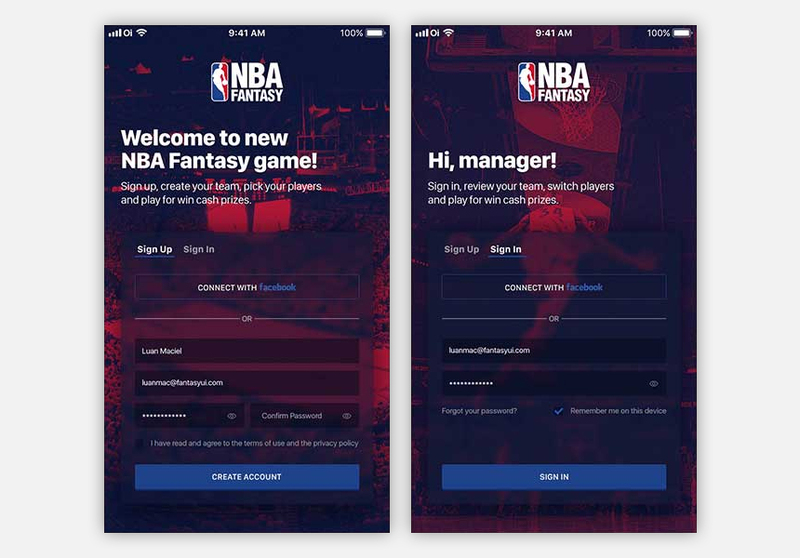 Like any other app, fantasy basketball app has this feature that allows an admin to manage users and perform an action like, add, remove, block or suspend users from the application. Admins can create a custom league for users to enter. And at the same time, this feature allows them to manage everything related to the leagues. For every point accumulated by the users’ teams, the admin can assign reward points and the value of rewards points and how those rewards can be redeemed or used, everything can be managed by the admins. But admins features are not limited to just these features. There is more than what meets the eyes. You can know about it by discussing with related fantasy basketball app developers. Here is the tech repertoire required to build a promising fantasy basketball application. Till now, we know about the emerging global market of basketball and fantasy basketball. We know that the market of fantasy basketball is full of opportunities. Now, let’s talk about what are the top ways that can help investors to make money from fantasy basketball apps. In the first quarter of 2018, fantasy sports apps made almost $750 million by just entry fees in only US region. The magnitude of revenue generated from entry fees is too high. These entry fees are charged by users to play in exclusive fantasy leagues. The users want to earn big prizes and in order to play prized games in the fantasy basketball league, the user needs to pay its entry fees. There is no substitute for advertisement but here the advertisement works in both ways. 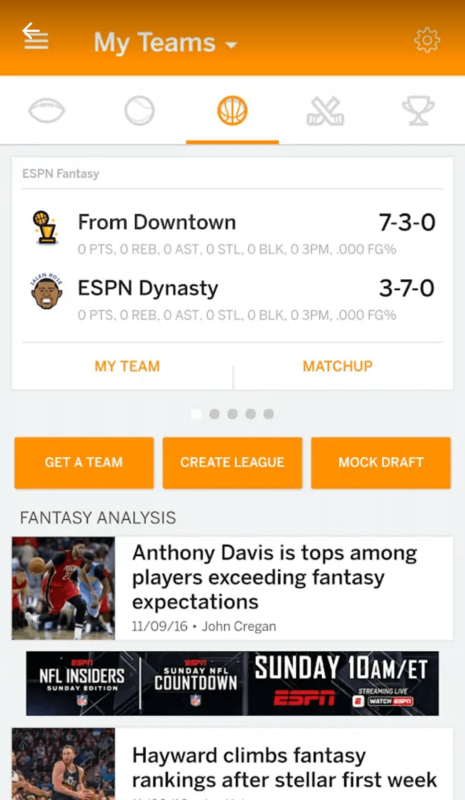 One way is Ad promotions for the fantasy basketball app that attracts more users to play fantasy sports. Second, in-app advertisement of other related services or companies that pay you to show their ads in your apps. 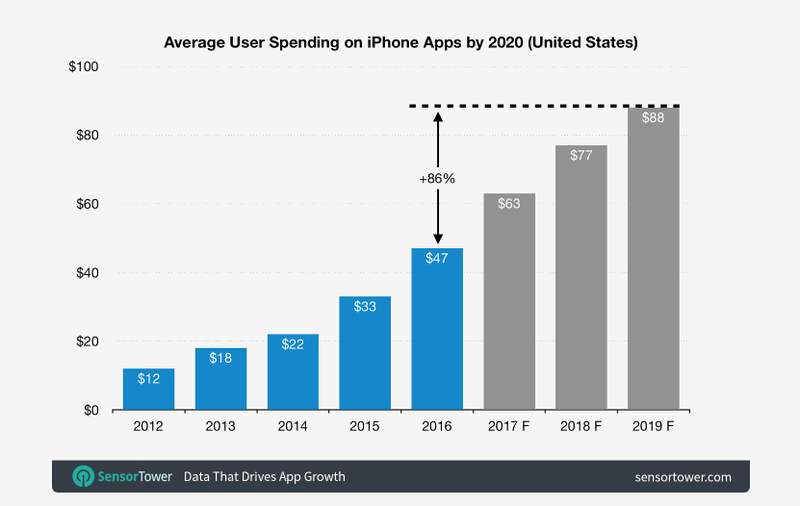 According to Sensor Tower, in the US, an average iPhone user will spend $88 per year on apps by the year of 2020. That is a significant amount of money to be spent on applications. This number was $57 per year in the year of 2017. And it will continue to grow as people are spending more bucks on the application. The shocking thing is, this data is only of one country. And according to Fortune’s report in 2019, the global market share of iPhone is just 15.8%. It doesn’t take much of the efforts to know how large the market is and how many possibilities and opportunities are waiting. Having 27.6 million followers on Twitter, and 35.7 million followers on Instagram makes the NBA the most famous and loved sports pages on social media. That means a major user engagement. This social media and fan engagement fuel e-commerce like merchandise sales of basketball. And after fantasy basketball, the sales are skyrocketing. According to a magazine, Promo Marketing in 2018, NBA final witnessed a 191% rise in branded merchandise. 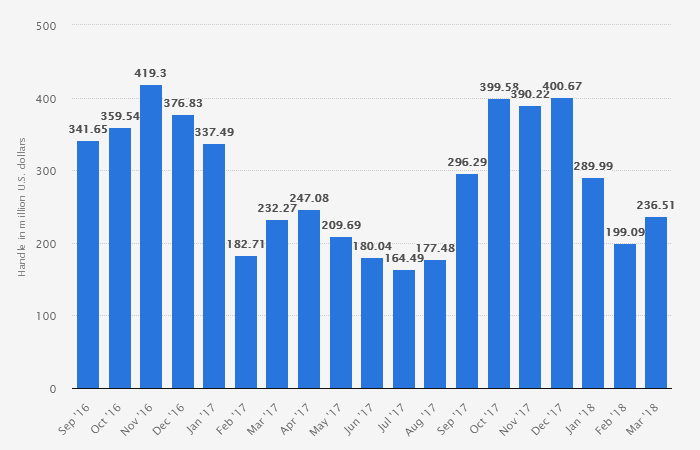 That is a huge rise. And having a section for merchandise in fantasy basketball may increase the overall app revenue. These are some of the top ways to squeeze revenue out of the market. But since there are many possibilities in the fantasy sports app market, hence, there are unlimited ways to make money from fantasy basketball apps. So How Much Does It Cost To Build A Fantasy Basketball App? I cannot be pretty straightforward while answering the question. And the reason is, there are tons of factors that might influence the cost of your next fantasy app development. If you want a fantasy basketball app for all operating systems (Android, iOS, Windows) then it is obvious that it will cost you more money than getting an app developed for any one OS. The same calculation applies to a number of devices like smartphones, tablets, and wearables too. It an imperative step to channelize your goal and vision with your fantasy basketball app. Simple app development requires comparatively smaller team than a complex or larger size fantasy app development. And the size of the team defines the cost. It is a no brainer that an app with impressive and rich-features requires more hours of work and probably a larger team which ultimately costs higher. It is surprising but true that the same Fantasy Basketball App Development costs higher in the USA than in India. 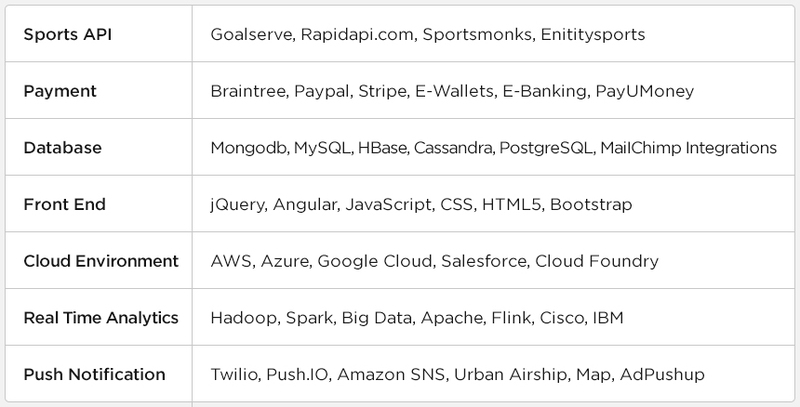 The designer and developers from all over the world work at different hourly rates. These rates can be affected by the local market condition and their expertise. After all these decisive factors that influence the development cost of fantasy basketball app, you may still have the same question, “How much exactly?” Well, while taking all things into my consideration, I think a feature-rich fantasy basketball app developed by a small sized company may cost somewhere between $35,000 to $50,000 USD. But we should keep in mind that the number of additional features, supports and functionalities and complexity may affect the overall cost. I’ve tried my best to cover everything in this article by approaching every possible question that could pop in a visionary’s mind. If you are all set to invest in fantasy basketball apps then you need to contact only expert professionals who are competent enough to offer you the fantasy basketball app that can stay true to your expectations. If you have any questions then please feel free to contact us.